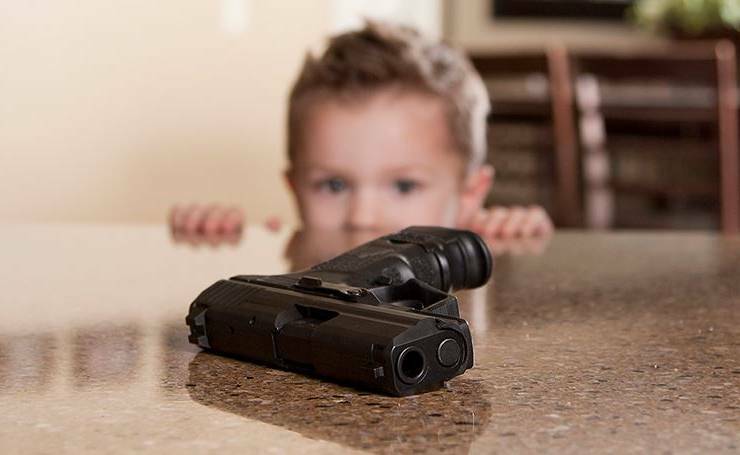 As most might expect, mixing children and guns may not go well in anyways. Kids are too young, immature, reckless, and carefree for gun handling. Therefore, no amount of sensible-sounding advice can be of full-proof help over here. So, it’s not really safe to have a gun in the house with young family members around. On the flip side, guns serve as an instrument of protection for loads of Americans out there. After all, it’s not a New Year resolution to own a gun. It just happens to be a necessary evil to distance danger. So, what is the solution over here? Goes without saying, you are responsible for the safety of the kids in your care. So, if you need to own a gun, it must be out of your kids reach at all times. Don’t expect the government, relatives, or neighbors to help you in this matter. The control is in your hands, and you must do everything in your power to prevent unsupervised access to your guns. The most common mistake that most gun owners do is that they rely on hiding places or high shelves to keep the gun out of their kid’s sight. Little do they realize that curious kids can find a way to reach out to these places. To sum things up; any lethal weapon, be it gun or anything else may not necessarily be a good thing with kids in the house because kids have a natural curiosity for all the forbidden things out there. On the other hand, a gun free house may not necessarily be a safe house considering the high counts of invasions and break-ins happening in our country. So, if one feels the need to own a gun, it must be locked away from the kid’s reach. Furthermore, one should also educate their kids about gun safety. To keep the guns away from plain sight, one is highly advised to use some kind of gun safe to securely hold the firearm for ready access during dire times, while keeping it immune from unauthorized access. Previous Article What are the benefits of using gun safe? Children are naturally curious and they see these items on the television. They need to see these items in real life and they need to be taught all of the things they can do to remain safe around a gun.